The Most Influential Insurance Event in China. Each agenda contains the most comprehensive speakers ,which is strongly supported by Insurance Center of Fudan University ,China Insurance Regulatory Commission, Insurance Association of China, Insurance Asset Management Association of China. You will collaborate with 350 of your peers - all in one room. 2 and half days of focused engagement with senior-level executives from the leading insurers, plus crucial input from the power players and innovators in the insurance industry. Shape your benchmarking strategy and reach the industry leaders who can help you to capitalize on the disruptive potential of new insights in Insurance Industry. 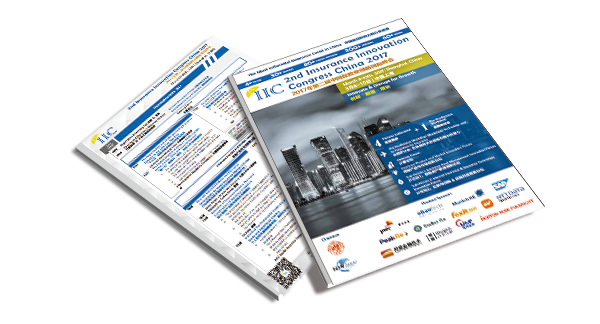 In the event brochure, you will know that the conference will more focus on all latese hot topics. The event will do greatest efforts to achieve your targets.